Welcome to another week of our K-pop Indie Gem segment! 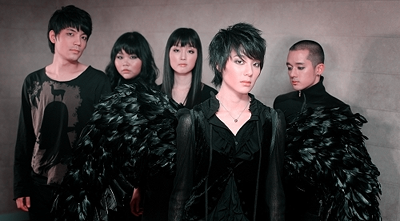 This week we’re highlighting Dear Cloud, a five-membered rock band who began in the ever popular Hongdae area of Seoul. The group consists of vocalist Nine9, guitarist Yong-rin, bass guitarist I-rang, drummer Kwang-seok, and keyboardist Jeong-ah. The band made their debut in 2007 with their eponymous title: Dear Cloud. In total, the group has had four releases, including their first one: the additional ones are Grey in 2008, Take the Air, an EP, in 2010, and Bright Lights in 2011. The group’s music is softer rock and they usually play around with Nine9’s lower and husky vocals. Her voice frequently has swells in volume that accompany the music very well. Influences such as Coldplay, Radiohead, and Sigur Rós, among others, as indicated by the members themselves, are clear, but gently molded back into Dear Cloud’s style. Their first album had more distinct drum beats and stronger use of guitar, but since then, they’ve mellowed out the music while not losing their sound, even incorporating strings to widen their diversity in several tracks of Bright Lights. “Not for Your Comfort” is the first track off of the band’s debut album, Dear Cloud. With a set of heady instrumentals and similarly intoxicating vocals from Nine9, the song fits right in among the standard fare of alternative rock. It’s a jump right into the music of Dear Cloud and an especially good point from which to see their growth over the years. “Lip,” from the second album, Grey, is not as hard-hitting. It instead boasts a rather intriguing melody with specific vocal emphasis done tastefully without seeming too sudden. Next, also from Grey, is “Secret.” Taking on a slower beat than “Lip,” it’s more reminiscent of the rest of the album: cleaner and softer than the first album. The song’s use of a quieter buildup allows the track to develop two peaks before declining with the repetitive “na,” slowly unwinding the song and the hype previously built. Off of the group’s only EP, Take the Air, “Collapse” is a beautiful song that takes time to highlight each instrument along with the vocals. It’s yet another step towards this sound that grabs from acoustic elements rather than the initial harder rock sound. In this song, the prominence of the keyboard is particularly fetching, their clear notes contrasting well with Nine9’s vocals. The combination of all instruments’ more vigorous use for the high point really conveys this soaring sentiment as Nine9’s voice continues on with the steady beat. From the band’s most recent album, Bright Lights, is “It’s for You.” The album’s intent is to transfer a message of hope to listeners, and this song most definitely has that sentiment. This time around, the incorporation of Yong-rin’s vocals in the background also help enhance the song in its segment. This song also slightly features some strings, a trend in this album, to help uplift the mood. Lastly is “Farewell,” also off of Bright Lights. The use of strings takes the spotlight, especially in the absence of vocals as the guitar keeps a steady rhythm. The slower beat is also bolstered by harmony of the instruments, generating a rather melancholy melody empowered by the instrumental. Dear Cloud has a wonderful set of songs, and a quick search on YouTube can get you a playlist of all of them fairly quickly. I strongly recommend a listen to their entire discography, with my favorites being Grey and Take the Air. The band’s music has great emotional depth, and it’s particularly engaging to hear the different facets of music, all within the overall rock genre the group has chosen to explore. Have any of you had a listen to any of Dear Cloud’s songs? If you have, do you have favorites? If you haven’t, do you intend to? Leave a comment with your thoughts!